Dolcetto is a red-wine grape originating in the Piedmont region of northern Italy, where its cultivation seems at least half a millennium old. Despite the multiplicity of local synonyms shown above, it rarely arrives in the U.S. as anything but simply "Dolcetto". Throughout most of its native region, Dolcetto is treated as a "second fiddle" wine to the pre-eminent Nebbiolo and Barbera, being used as an early cash source owing to its quicker ripening; such bottlings produce decent but unremarkable wines. Some vintners, however, treat the variety with more respect, and these often produce very good wines. The wines are rarely if ever blended: virtually all Dolcetto bottlings are monovarietal. The characteristics of Dolcetto are a black-cherry flavor with an almost licorice quality, with some also noting overtones of prune or black pepper, and with a characteristic bitter finish reminiscent of almonds. The wines are quite dry and typically medium-bodied, with middling tannins and a rich texture. It is widely regarded as a "food wine", being thought to be insufficiently fruit-laden to drink on its own; it is especially popular as an accompaniment to the traditional Italian antipasto platter. Dolcetto wines are not usually considered candidates for bottle aging, and drink best within their first two or three years (there are, however, always a few exceptional botlings that breach the rule). Dolcetto di Diano d'Alba (elegant, with good acidity). Factoid: In 1700, Barnabà Centurione sent some Dolcetto as a gift to King George II of Great Britain. "Dolcetto wines are known for black cherry and licorice with some prune flavors, and a characteristically bitter finish reminiscent of almonds. While the name implies sweetness, the wines are normally dry. The tannic nature of the grape contributes to a characteristic bitter finish. The dark purple skin of Dolcetto grapes have high amounts of anthocyanins, which require only a short maceration time with the skin to produce a dark-colored wine. The amount of skin contact affects the resulting tannin levels in the wine, with most winemakers preferring to limit maceration time to as short as possible." "Dolcetto produces soft-styled, fruity wines with colors varying from deep ruby to purple. They are characterized particularly by their low acidity . . . When it comes to tannins, this soft, fruity, gentle, "sweet" grape variety executes an impressive about-face, delivering the same kind of drying, astringent tannins as Nebbiolo. This does not work in Dolcetto's favor; such tannins take years to polymerize and soften, over which time a Dolcetto wine, with its low acid levels, would deteriorate beyond enjoyment. Happily, the grape's oversupply of tannins can be mitigated by a short, gentle fermentation, avoiding over-extraction, but this naturally has its own downward effect on aromatic intensity. . . In the 1990s and into the early 21st Century, Piedmont's Dolcetto wines have been made increasingly rich, oaky and alcoholic, in response to growing consumer demand for such powerful wine styles. The world wine market has shown little opposition to this decidedly New-World take on Dolcetto. A typical Dolcetto wine is intensely and brightly colored and offers dark, gently spicy aromas with earthy undertones of almonds – or walnuts in more tannic examples. As the wines are not generally designed for long-term cellaring, they should be consumed within three or four years of vintage." "Bright reddish-purple in color. Aromas of ripe blackberries and plums are mirrored in the flavors. A direct, Zinfandel-like fruitiness combined with Merlot-like soft tannins make Dolcetto charmingly seductive. Usually approachable and drinkable upon release, Dolcetto can develop further with two to three years cellaring." "Dolcetto tends toward lower acidity, so the wines can be well-balanced at a traditional 14% alcohol. It also leans toward soft, round tannins, a rich, violet color, and lots of dark fruit flavors; some examples have a chunky, almost rustic quality to them, but the best overcome this and can be quite elegant. Dark fruit, a good, mouth-filling texture, and smooth tannins, and drinkable young. There’s lots of call for something this accessible. It makes a good, Italianate alternative for Merlot drinkers, and is generally priced quite well. Dolcetto’s generally pair best with rich foods: risotto, roasted meats, and such. However, its soft tannins make it more flexible than just that." "I am going to give Dolcetto a little boost. It’s a nifty grape. It makes juicy, lively, affordable and delicious reds, with a flavor that suggests black cherries and a faint, intriguing touch of bitterness. Dolcetto isn’t meant for deep thought but simply for happy drinking." "There are a couple different ways that winemakers approach Dolcetto. Because the grapes have a pretty dark, tannic skin some winemakers don't let the juice stay in contact with the skins for very long. This method produces a lighter, less tannic version of Dolcetto with less body. 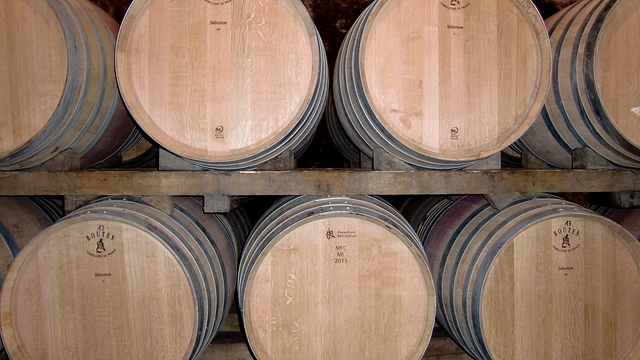 Other producers macerate the skins with the juice for longer producing a more extracted style with abundant and plush tannins, which they will often put in new oak to make a more "international" style of wine. In either case the distinguishing characteristic of Dolcetto is its dark purple color and abundant dark fruit flavors. Think plum, blackberry jam, prune with some licorice thrown in and a finishing note of toasted nuts. When you get a Dolcetto that has spent time in new oak it's like having an English breakfast of fruit conserve and toast. I like both styles, I recently had two back to back that were great examples of both styles and a cool study in contrast. Because of its fairly low acid Dolcetto is not the most versatile food pairing wine. But it goes well with heartier meats especially grilled meat. A perfect pairing would be grilled duck breast with some kind of dark fruit sauce. However, drinking the lighter style just on its own is also delicious." "But dolcetto — thankfully, perhaps — has not been favored with similar [to Barbera] efforts at improvement. Instead, it is almost always free of the blemishing of new oak flavors. Left to its own devices, dolcetto offers what naturally makes it so winning: an object lesson in the very Italian push-pull of blending bitter and sweet flavors, along with an earthiness and a rounded, lightly tannic texture." 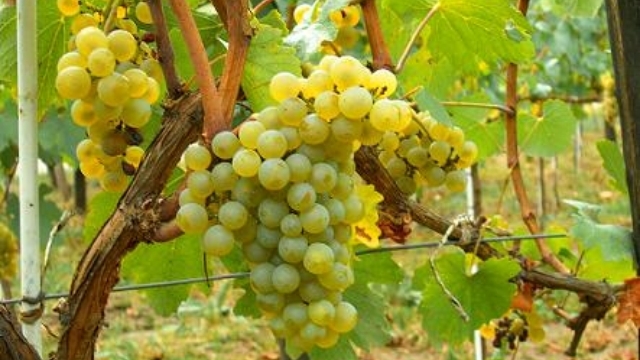 "It produces wines that are soft and fruity and ready-to-drink when released. The Italians like this wine for everyday drinking because of its soft tannins, ripe fruit, and ability to match with a variety of foods. 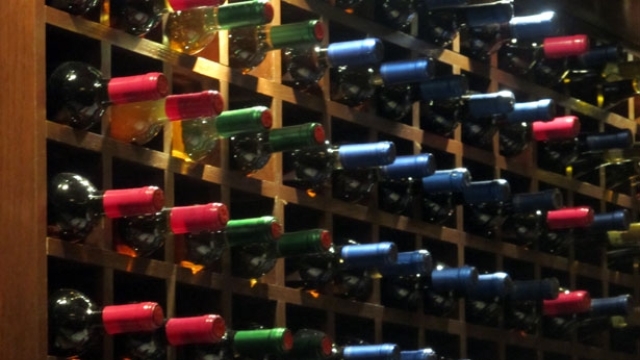 No cellaring required here and prices are usually quite affordable." "Dolcetto is the easier, more fruit-forward wine with less aging potential; it is usually consumed within a year or two of release. As opposed to Barbera, it is marked by low acidity. Its food friendliness comes from its natural fruitiness and drying tannins. In fact, these two qualities tend to balance sweeter foods, fragrant foods (with tomato sauces or perfumed herbs, for example) and foods with a fatty component, which is broken down by the tannins. If you are looking for a pairing partner to a steaming pizza pie with mozzarella and basil, or a home cooked plate of pasta, look no further than Dolcetto. A pulpy, purplish appearance and bright aromas of wild berry, blueberry and fresh plum characterize the wine. It is thick and generous in the mouth and that natural heft is pushed along the palate by the polished tannins." "Dolcetto is the opposite of Barolo. It’s fresh, fruity, and low alcohol, with a rustic, earthy, sometimes spicy character. It is usually free of oak influences. It’s not a wine you age or brood over. . . While dolcetto is fruity, it’s balanced by light tannins and often a hint of bitter on the finish." There is an embarrassment of riches here from which to try to select a few representative specimens. After poring over numerous experts' opinions, we have opted for the specimens shown below, but there seems to be quite a wealth of worthy Dolcetto bottlings out there. ♦ Bright red-violet in colour with aromas of wild cherry, candied violet and earth. Vibrant strawberry and cherry flavours joined hints of smoked herbs and a bright acidity in the medium body, whilst pink peppercorn and traces of bitter almond comprised the cleansing, moderate finish. Exuberant and friendly, this is an excellent value and fantastic for sipping on its own or with a wide variety of dishes. ♦ This lovely Dolcetto is delicious, fresh and utterly drinkable. It has a classic fragrance of strawberry, cherry and licorice, all of which carry over to the palate, along with earthy notes and a hint of almond. Made to be enjoyed young. ♣ Wine Spectator (date unknown, 2009 vintage), 92 points. ♦ To preserve its freshness and fruitiness, the wine remains in stainless steel and never sees the inside of an oak barrel. The wine is very pretty and fresh, with plenty of traditional varietal character. Brisk and elegant on the palate, with flavors of raspberry, blueberry, licorice and baking spices, its dark fruit flavors open up and become more interesting after a half hour in the glass or decanter. ♦ Fragrant scents and hints of blackberries rise from this medium-red wine. The fruit begins softly and grows delightfully to light tannins with tart overtones. It's a food wine, but also extremely easy to sip. ♦ The San Luigi is Pecchenino’s entry-level Dolcetto wine. It is aged in stainless steel until the spring of the following year. This is a straightforward, medium-bodied Dolcetto with appealing fruit flavors and good acidity. ♦ The San Luigi is the first to be bottled, to showcase its fresh, jammy fruit. 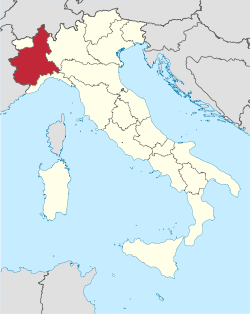 ♦ San Luigi is the borgata between Monforte d’Alba and Dogliani, where the Pecchenino winery and estate are located. It sits at 390-430 meters a.s.l. Maceration is 10 days and aging occurs in stainless steel. This Dolcetto is the most traditional of Orlando’s Dolcetto and representative of this small area. True Dolcetto essesences of fruitcake, spice, and cherries – a fresh one with a dark finish: black licorice, chalky tannins, and a cinammon/nutmeg/clove character. ♦ This is a sophisticated and rich Dolcetto with layers of toasted nut and spice lavished over bright berry fruit nuances. There's freshness and good tannic structure to boot. 89 points. ♦ [Google-translated from Spanish:] At the moment, with 6 years of bottle, is reaching an optimal moment. I open the bottle half an hour earlier and enjoy the miracle of the display of flavors and complexity of this Vilot 2008 (13.5%): smoke, ashes and prunes. Black pepper and clove. Austerity and tannicity in the mouth. Humus. Black sweet cherries…Freshness and moderate acidity that invite the meditation of good aging. It has a spectacular mouth and a drink that offers no concessions or splints. The dolcetto d'Alba has a character that in no way points to its etymology ... Dryness, tannin, contained acidity. Carob and almond bitter something. ♦ Big, rustic, lots of juicy fruit and some black pepper. ♦ Aromas of black cherry and raspberry dominated the nose. This unoaked, medium bodied red wine had soft tannins, moderate acidity and was very balanced. ♦ But even under the best of circumstances, almost 10 years [from vintage] - as in this case - is pushing the envelope. So it was with some trepidation that I uncorked the bottle. The wine was a deep purple color with a darker hue at the edge and revealed lively wild berry and blueberry aromas. A sip divulged some spicy, mouth-filling dark fruit flavors as well as Dolcetto’s signature touch of bitter almond on the finish. Dolcetto wines are low in acidity to begin with so I was pleasantly surprised by the still lively acidity that kept this relatively “old” wine fresh. The wine is medium-bodied and velvety with dark fruit flavors, moderate acidity and soft tannins. What’s not to like? The wine was not only alive and well but may well be even better now than in its youth. ♦ The 2010 Dolcetto di Dogliani Pianezzo comes across as fairly restrained in style for this grower, not necessarily a bad thing for a wine meant to be enjoyed young. Crushed flowers, blackberries and licorice are some of the nuances that flow from this feminine, graceful Dolcetto. 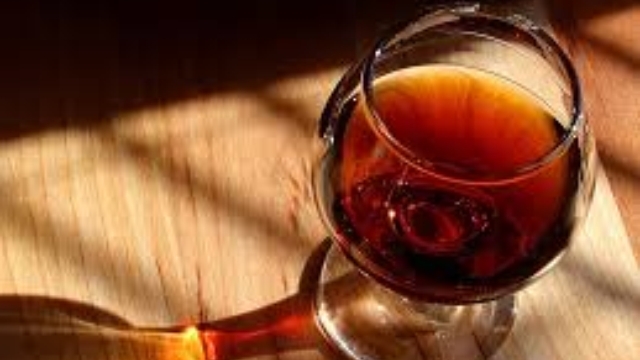 ♦ This has a dark, inky color, with rich aromas of black fruit, spice, leather and soft chocolate. The mouthfeel is smooth and luscious. 90 points, Editor's Choice. ♦ Brilliant violet-red in colour with aromas of sweet raspberry, strawberry, white pepper and woodsy traces. Raspberry and red currant flavours highlighted by underlying woodsy elements and smooth tannins in the medium body, crushed white peppercorn, cleansing bitter almonds and iron minerals shine on the dry, lengthy finish. ♦ Of the many bottles we liked, none appealed to us more than the 2010 Dolcetto di Dogliani Superiore from Luigi Einaudi, with its superb structure and beautiful balance of sweet, bitter and earthy flavors. . . Excellent combination of fruity, bitter and earthy flavors; great structure and balance. 3/4 stars. ♦ This is the estate’s entry-level Dolcetto and is produced from a blend of Dolcetto grapes from the estate’s vineyards around the small town of Dogliani. The wine spends eight months maturing in steel tanks and two months in in the bottle prior to release in the summer following the harvest. It is a traditional, easy to drink wine with a rich and fruity bouquet, medium-body and a pleasantly tannic taste with the traditional, slightly bitter note of almond on the finish. ♣ Wine Spectator (March 30, 2011), 90 points. ♦ The second-great Dogliani producer, Poderi Luigi Einaudi, is a much larger winery than Chionetti’s. . . This producer takes its Dolcettos very seriously. I tasted Einaudi's big-production (160,000 bottles) 2009 Dolcetto di Dogliani DOC at the winery (Einaudi uses the DOC appellation on its standard Dolcetto and DOCG for its two premium Dolcettos), and found it to be excellent, much more concentrated and powerful than other Dolcettos. ♦ Wild berries, blueberries and some natural rubber come to the forefront of this bright, young Dolcetto. In the mouth, it offers cooling fruit flavors with a hint of firmness in the form of polished tannins. 87 points. ♦ A standout wine from Italy’s Piemonte (Piedmont) region - the Poderi di Luigi Einaudi 2009 Dolcetto di Dogliani is an elegant, well-made medium bodied wine. The nose is vibrant with an aroma of red fruits and wild berries. The tasting profile is classic Dolcetto, with intense dry fruit flavors and a pleasing, easy to drink tannic structure. The finish is dry and refreshing, leaving your palate in ‘ready-mode’ for the next bite. ♦ My third great Dolcetto was the wine that first made me realize how awesome the humble Dolcetto variety can be when grown under the best conditions. Marcarini is renowned as a traditional producer of well-priced Barolo wines in La Morra, the largest and prettiest village in the Alba/Barolo zone. . . Marcarini's standard Dolcetto d'Alba "Fontanazza" is a good example of a solid, well-made Alba Dolcetto. ♦ Marcarini Fontanzza 2010 is simply an outstanding representative of everything great about Italian wine – massively food friendly, traditional, terroir-expressive, honest, and above all, delicious. . . Scents of fresh cherries and violets with delicate notes of brown spice that transfer nicely to the palate. Warm in the mouth, sensations of marzipan, cinnamon, and a persistent finish with the most delicately bitter grace note. An affordable, delicious wine that brings a bit of class to everyday life at table. ♦ Lovely, big, soft aromatic nose which is smoky and earthy. There is plenty of juicy, jammy cherry fruit. On the palate it is rich and mouthfilling, but with tannins and highish acidity that give it a serious edge. Very good. ♦ The Fontanazza is produced from grapes grown on 25 year-old vines. It is made in the "traditional" manner i.e., the wine is aged in steel tanks and doesn’t see any oak ageing. It’s warm and inviting with a full and velvety texture. The wine has enticing fruity aromas, a pleasant acidity and a delicate, slightly bitter aftertaste. ♦ This young Dolcetto opens with loads of fresh fruit, but there’s also a slightly musky smell at the back that gives the wine a touch of complexity. It’s an earthy, warm wine with a full and velvety feel. 86 points. ♦ Marcarini’s least-expensive Dolcetto, robust and earthy, comes from vines growing primarily in the La Morra subregion of Piedmont. ♦ Licorice, balsamic, strawberry, smoky aromas. Dry, round, ripe palate with light tannins. Olive, licorice, strawberry, earthy flavours. More forwards style with a slightly herbal note on the finish.Licorice, balsamic, strawberry, smoky aromas. Dry, round, ripe palate with light tannins. Olive, licorice, strawberry, earthy flavours. More forwards style with a slightly herbal note on the finish. 86 points. One of the premier producers of Dolcetto is Pecchenino, and if you want a splurge, you could do worse than to go for this single-vineyard Pecchenino "Bricco Botti" Dolcetto di Dogliani Superiore.